Next to that, the active members have installed a furnace. 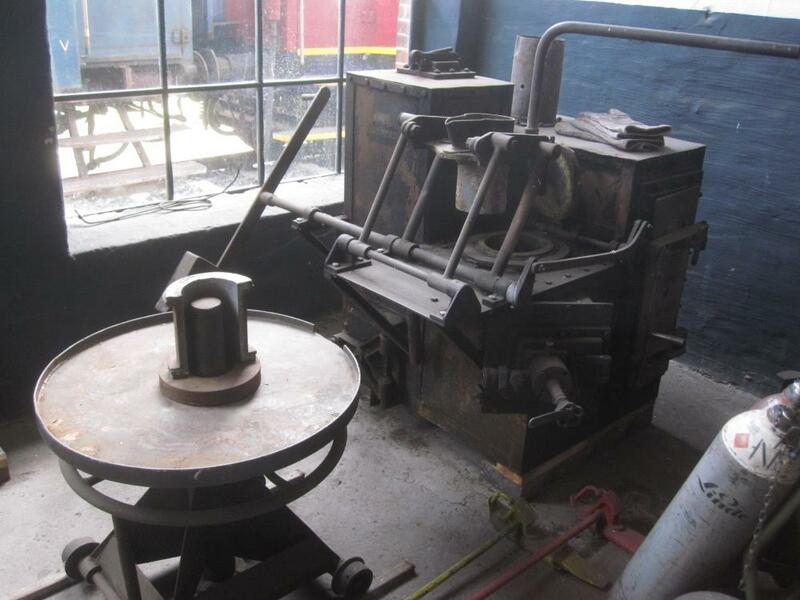 Also originally from Salzwedel, this furnace was for melting white metal for casting the bearing shells for axles and driving rods of locomotive. The furnace was fired with heating oil. The pictures show on one side the bearing metal in bar form, on the other side, the furnace.